PORCELANOSA Group plays an important role for interior design and architecture studios. With the work of the 8 firms and studios such as J+h Boiffils, incredible designs are created which keep up with trends at a global level. In this case it is a combination which always amazes with its possibilities and innovation: Butech and KRION®. J+h Boiffils architecture studio, has trusted PORCELANOSA Group to create the ventilated facade using the K-Fix anchoring system from Butech, allowing the installation of curved facades. Our compact mineral KRION® was chosen for its intrinsic qualities. 1,450m2 of our star colour, 1100 Snow White, has been used, giving an aseptic ultra-white aspect with a stony appearance. The spectacular final finish is a sophisticated shopping centre. 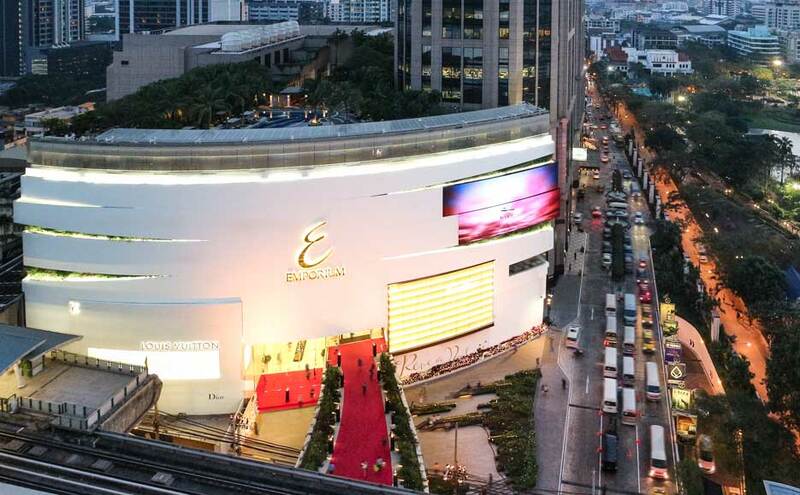 On its 6 floors we can find upmarket international shops such as Chanel, Louis Vuitton, Dior Prada, Hermes, Cartier and Montblanc, and fashion shops such as Armani Exchange, Guess, Zara, Diesel and Calvin Klein. There is also a cinema, restaurants, and a 5 star hotel. It is a luxury setting for KRION®, the solid surface from PORCELANOSA Group.